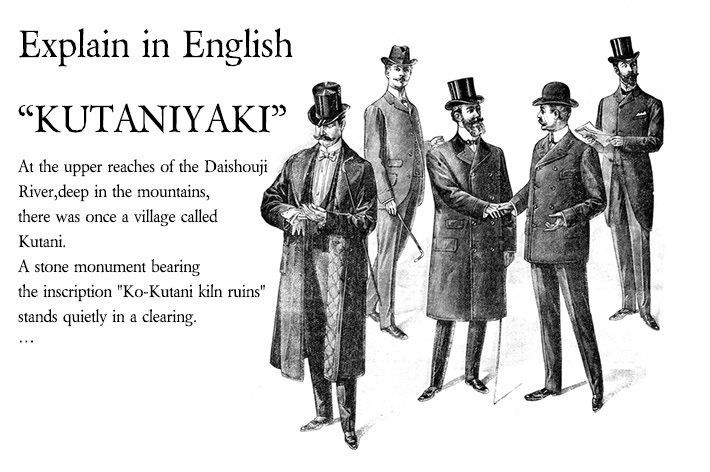 there was once a village called Kutani. The porcelain ware that was created there was later called "Ko-Kutani,"
However,only half a century later the kiln was abandoned for reasons thatnobody knows. Kutani porcelain was revived under the patronage of the Kaga clan. all producing overglaze porcelain ware. the gorgeous Kinrande style has become well known in the West as "Japan Kutani."